Have you ever thought to spend your winter holidays in Crete? If not, then maybe it is your perfect option for this winter! Crete is a unique destination offering different pleasures in every season. 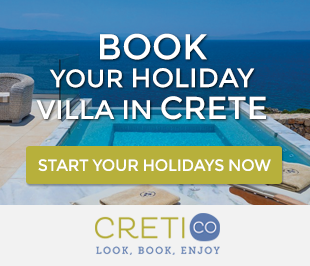 Unlike several other tourist places of the country, Crete has thousands of permanent residents living and working in cities and villages during the winter. As for the winter, it is a great opportunity to get to know the place in its original form, without its summer tourist facade! 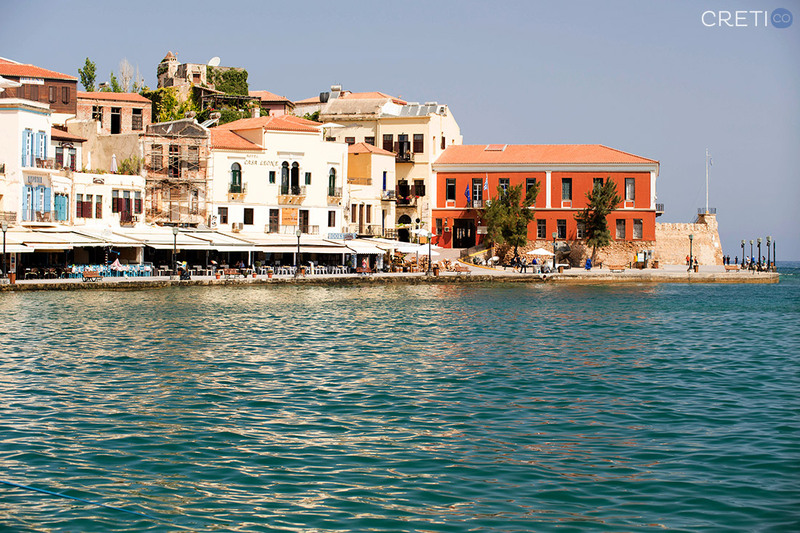 So Why spend Your Winter Holidays In Crete? There are more than 500 beaches, completely empty, just for you. Swimming is quite bearable throughout the year, as the temperature does not easily fall below 14 ° C. The seas are often calm, as the summer winds have abated. Even a visit the beach for playing rackets or sunbathing or take long winter walks. Lovers of surfing and kite surfing can find some very good water spots to practice their sport. 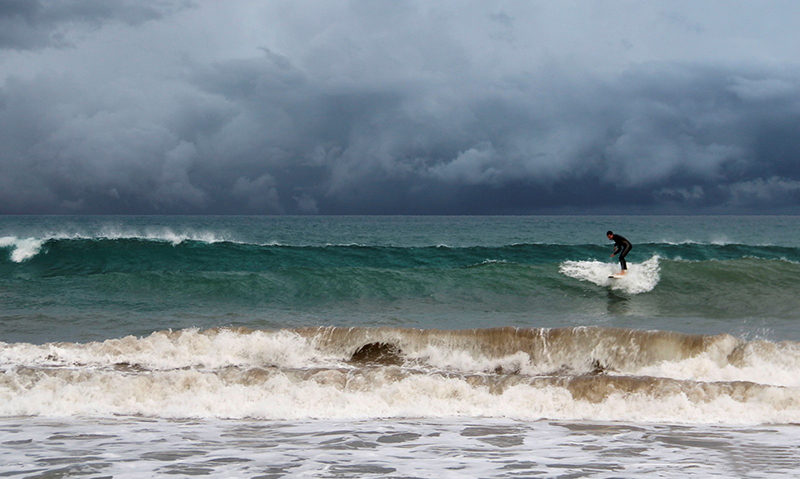 Especially in winter, the waves in Falassarna reach up to 3 meters, and conditions are ideal for surfing, as the waves usually break out without the existence of wind. 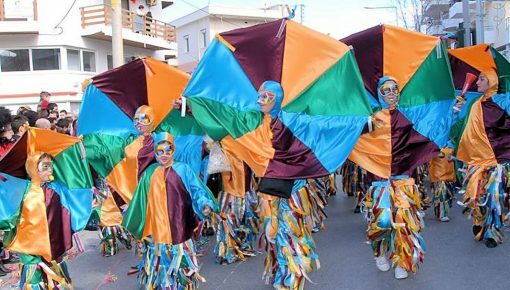 Christmas is like a rite in Crete with dozens of ancient customs in different regions of the island. 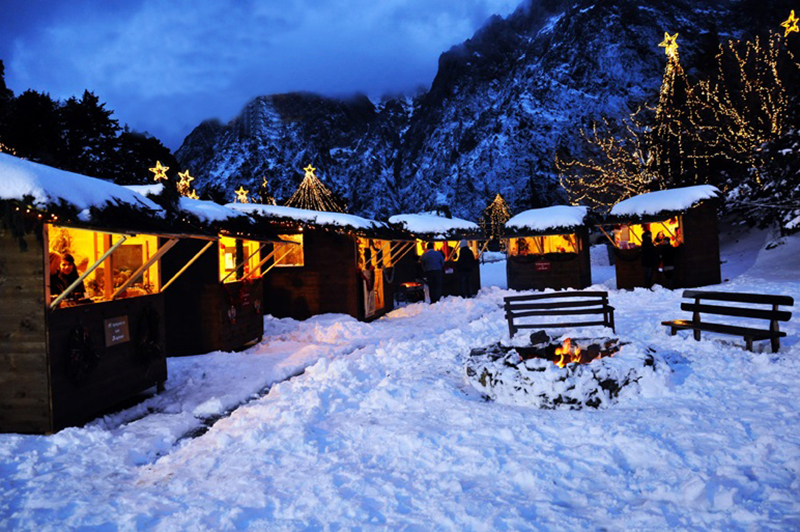 In the snowy plateau of “Omalos”, you will find an entire Christmas village, while in the Cave of St. John in Marathokefalas, you will see the representation of the birth of the Divine Child in a manger with real animals! Similar events take place throughout the island and the atmosphere is really unique! So why not combine your Christmas holidays with your winter holidays in Crete? 4. “Kazanemata” – Celebrate the Distillation of Raki! 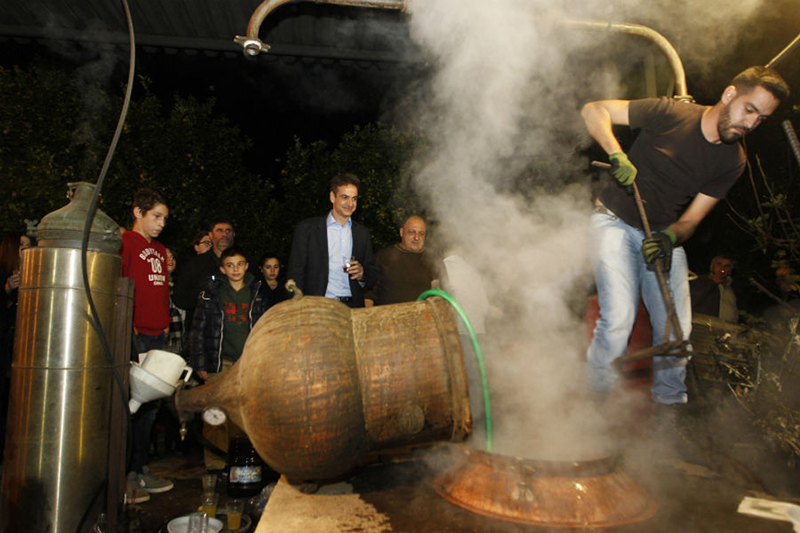 “Kazanema”, the distillation of raki in traditional cauldrons, is a special procedure in Crete. 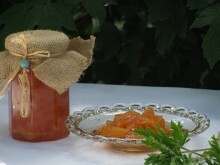 The person who is distilling raki invites friends and relatives. The company enjoys this traditional drink by sitting around the cauldron, eating, drinking, singing and dancing until dawn. Anyone who has participated in the cauldron process even once, has experienced the jovial character of Cretans. 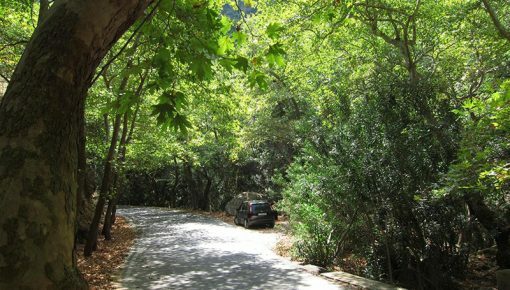 As the beautiful Cretan beaches are not a hot spot in winter, you will have the perfect opportunity to discover the unique landscapes of the hinterland. 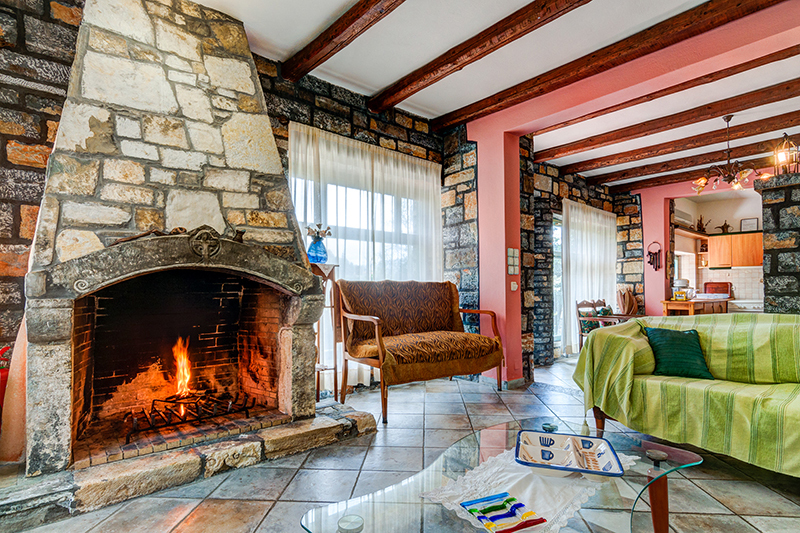 At the end of your tour, visit one of the dozens of taverns, enjoy genuine Cretan cuisine next to the fire place and gaze the snowy mountains. 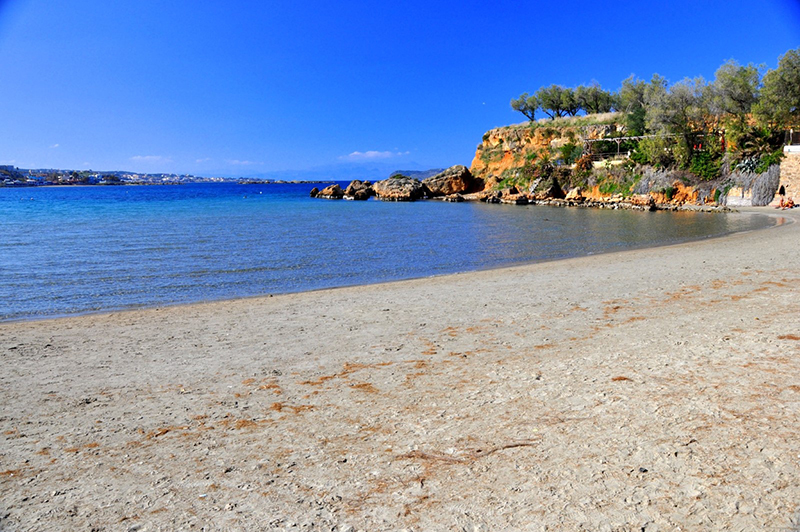 You will be really surprised of the beauty of the places offered for winter holidays in Crete. Rivers and gorges in Crete are filled with water, and thousands of waterfalls on the island get life back! In recent years, lovers of canyoning from all Europe include gorges of Crete in their winter program. 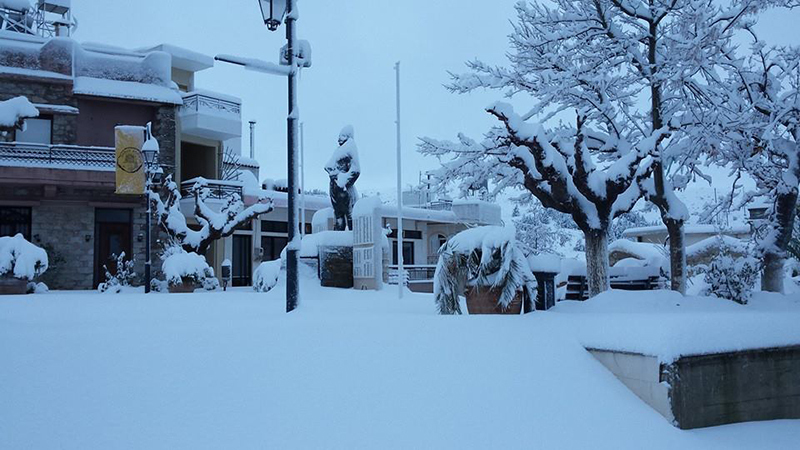 Crete is dressed in her white cloak and it is the best period for lovers of snow sports! 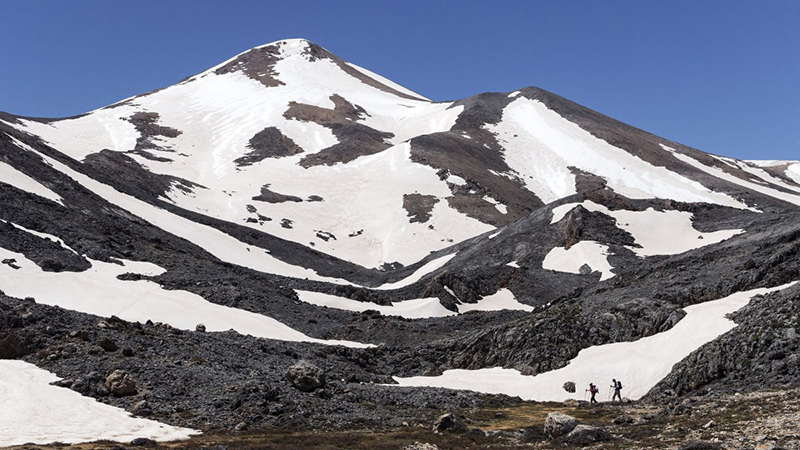 Alpine skiing, and snow climbing are only two of the things you can do until early spring during your winter holidays in Crete. 8. Everything Is Much Cheaper! You can find accommodation and activity packages in nature at half of the summer prices. The tourist beach bars, cafes and taverns are closed in winter, so there are cozy taverns and cafes offering lower prices. 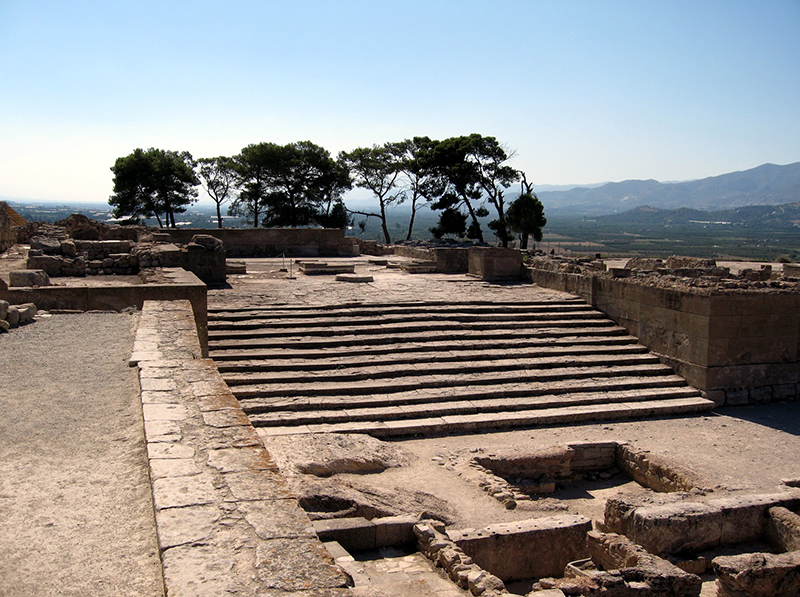 You can visit all the museums and archaeological sites without having to wait in long queues to take a ticket and trying to listen to your guide in the crowd. In this period, Crete is not overcrowded, so you will enjoy the beauty of the island in all its glory! The sweet winter sunshine will probably accompany you during your winter holidays in Crete. As the temperature is ideal, the exploration of the trails and hiking paths throughout the island is much more enjoyable. A sunny winter day in Crete is the best opportunity for a memorable trip, without sweating and being burned under the summer sun. Posted on 10 Dec 2015 in Holidays in Crete and tagged Winter Holidays In Crete.